Gotta agree. A really fine looking pipe. Holy crap! 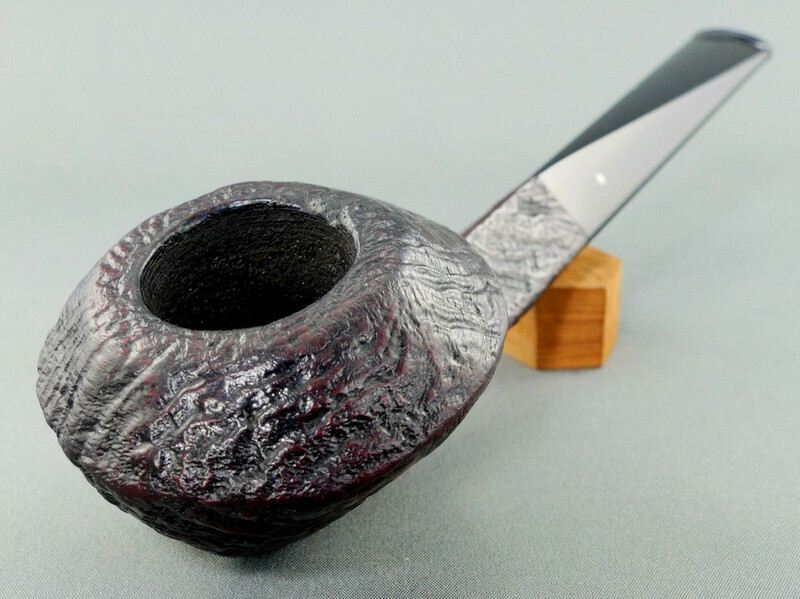 Stunning, the pipe, the stem, the whole finished pipe! Wow! No white dot required to show orientation of that stem is required. Oh, yeah. She's a beaut. Reminds me of a chopped and channeled '40 Ford. Another fantastic pipe posting! And here I thought the squat bulldog was a recent phenomena. Gorgeous, stunning shape. Perfect. Part of the reason why I love it is its length, which although it looks longer than the usual bulldog, probably isn't. Well done on that tapered stem. Great photo skills too. Edgy to say the least. I get that "atomic-age" vibe from this shape, although the shape probably pre-dates that.... (T'was before my time, so IDK....... ) The whole flying saucer, space age thing comes to mind. Wow that pipe is terrific. I love those wavy shells! Part of the reason why I love it is its length, which although it looks longer than the usual bulldog, probably isn't. 838's are all dead-on 6.5"
Big, but not too big; long, but not too long. What's the deal on the white dot in the stem? 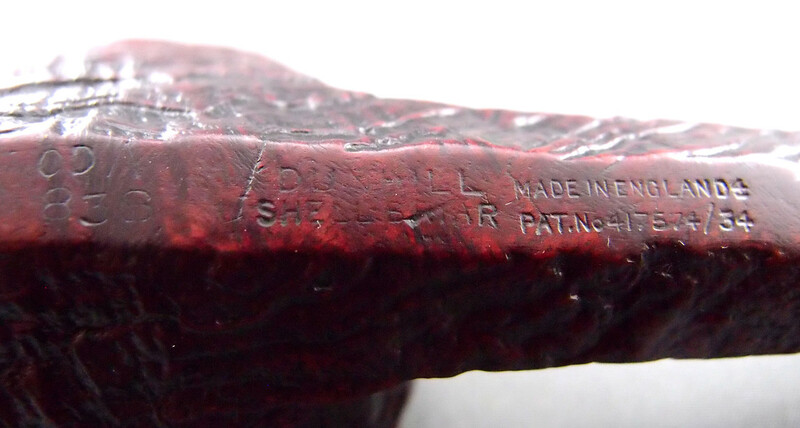 Those that are knowledgeable will know the stem is replacement and that the dot is not original, although to me having the manufacturer's mark was a sign of originality, so in this case a sign of a faithful reproduction? Uh, stem is straight as hell. Don't need a pipe like that. Go ahead and keep it. Now that the know they will all be smoking them. 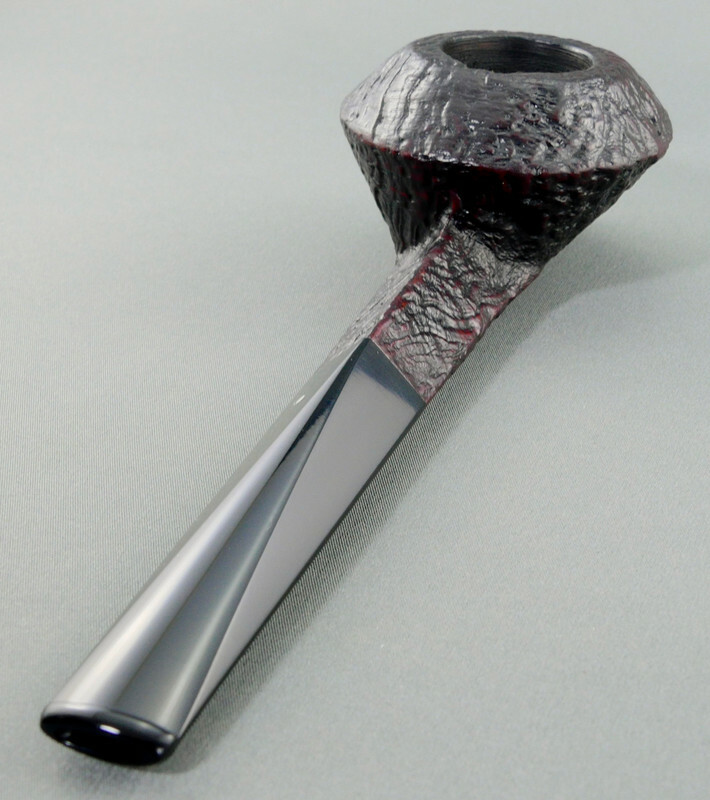 re: Dunhill's 838 shape perfectly captures the concept "tastefully outrageous" imo. Very edgy in 2018... imagine the reaction they got in stuffy-conservative 1954! In my opinion (tho' as George knows) I am very partial to these ODA 838's (and God has been asked to bless George for his efforts), I think that these are the most ultimately elegant of all pipes. The shape started showing up I seem to remember in the early 1900's, but in these ODA's a very artistic person designed/carved such elegant proportions! I wish there were documents acknowledging such work! I like how the pipe sits in his hand. But can you yourself imagine having to wrestle with that thing? Would seem to be useful as a club, however. The above pipe (the 838) arrived today! George's work on this pipe is even better in person than you see in the pictures! If you viewed the videos in the pipe repair section, you'll see the fine points that he sees, but I don't see (until he pointed them out). Am filling it up now for it's (new) maiden smoke! 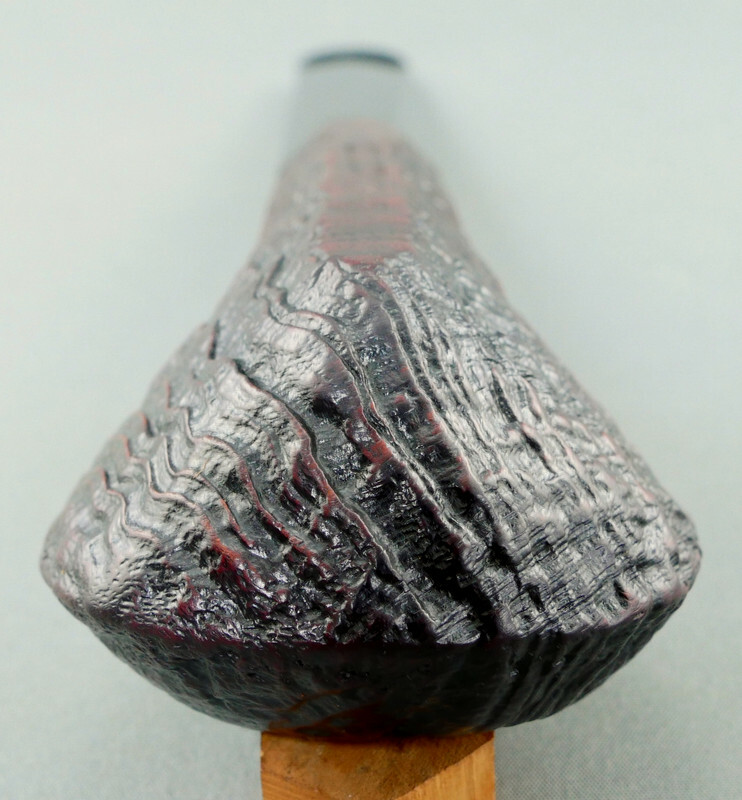 A stunning pipe, lovingly restored. Kudos.